XoroERP is an ERP software that offers a number of features that simplifies your business like never before. To help you with CRM, it features a Customer Portal where your customers can login and view their orders and credits, and a built-in chat mechanism that lets you contact with your customers directly. Its email integration feature makes sure that you don’t have to use a different platform for sending invoices. With a live access to banks throughout the world, Xoro ERP makes bank reconciliation an effortless function. Customize your financial statements and make it look the way that helps you to make better and informed decisions. How much does XoroERP cost ? XoroERP provides a custom pricing for their software. 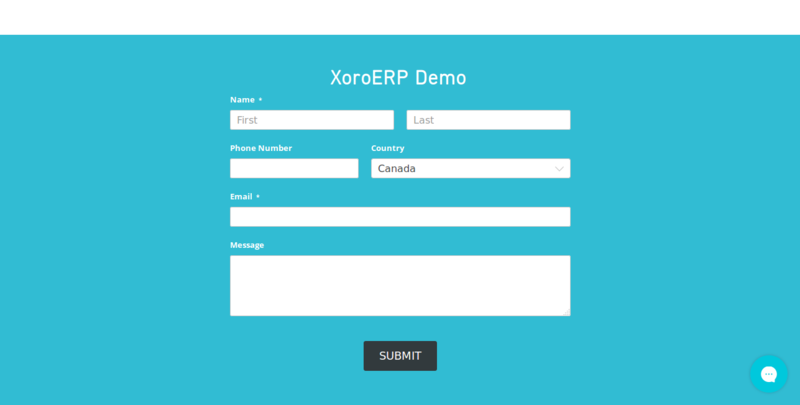 I found that Xorosoft ERP is the most easy ' user friendly ERP system in the market. Pros: Xorosoft ERP system is very user friendly ERP software with all the functionalities including inbuilt Warehouse management system, accounting ' other regular ERP functions. The modules are easy to use and self explanatory. We are using the Manufacturing module as well and we can track how much raw material consumed, how much is the production and how much it costs to make one piece in real time and right away. We do inter company transfers on daily bases and it is very easy to track and execute them using Transfer Sales orders ' Transfer Purchase orders. This system has both ERP ' WMS in one system so more value for money as we do not have to buy 2 systems. Our employees who have basic knowledge of computers are able to use this with ease. Overall: The biggest benefit we found with this system is having both ERP ' WMS in one system. Nicest ERP I have ever seen! Pros: I loved the in built WMS solution and capability to integrate with 3PL, B2B and B2C applications. Very easy to use and modern.